If you use personal fall arrest systems (PFAS), you should be well-trained and well-versed in fall clearance. If, by some chance, you’re not, you can get a nice refresher here. Go ahead, we’ll wait. Now that you’re an expert, you must realize that you’re an expert in fall clearance calculation when done properly or in ideal conditions. Unfortunately, as we all know, not everything goes exactly as planned. In fact, it’s probably more accurate to say that pretty much nothing goes exactly as planned. What follows are a few things you need to consider that could cause your fall distance planning to be dangerous miscalculation. You’ve trained your personnel and they fully understand that they need to do to calculate fall distance. All signs point to having enough room to go ahead and use 6’ lanyards with deceleration devices. The workers head to their work area, fully harnessed, take their locking snap hooks and tie off…at their feet. The fall distance is wrong. If the calculation was made with the assumption that the anchor point was at D-ring height or above (as it should be), you’ve now subtracted 4-5 feet of distance. If your height was 35’ and is now 30’, maybe that doesn’t seem like the biggest deal in the world (it is, see point 2), but if your height was 20’, it’s now 15’. You’ve gone from a point where using a 6’ lanyard with a deceleration device was acceptable and effective to one where it is neither. In a fall, your employee would now strike the ground. Your freefall distance is wrong. In simplest terms, you are allowed a maximum freefall of 6’ (though, it is really based on Maximum Arresting Force). With a 6’ lanyard and deceleration device, your freefall is 6’…PLUS the distance from your D-Ring down to your anchor point. Why? Because your fall will not begin to be slowed until your lanyard is at full extension – 6’ – but in order to get there, you have to first fall PAST your anchor point. Even if your system protects you, you are facing a slew of other injuries, both internal and external. 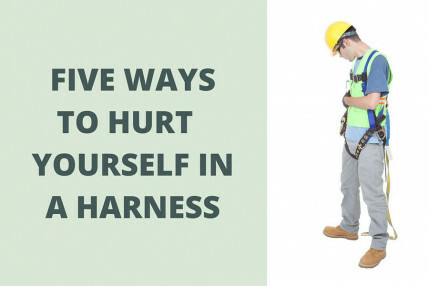 Workers use self-retracting lanyards (SRLs) with a great deal of confidence, knowing that they are going to lock into place quickly, virtually eliminating any fall at all. In many instances this will be true, but keep in mind that a certain speed…a certain amount of force…needs to be achieved in order for the locking mechanism to engage. Think of a car seatbelt: If you gently step on your brakes…nothing, but if you slam on the brakes, the belt locks into place, forcing you to uncomfortably and inhumanly press your body back into the seat in order to feed enough of the belt back into the casing in order for the mechanism to release. An SRL works the same way. Without that force, the braking mechanism does not engage. When might this occur? Well, it is very likely if your anchor point is directly behind you when working near the edge of a roof, for example. If you fall, the SRLs cable or webbing over the edge of the building may be slowed to keep the forces low. In this situation, your SRL can play out completely until you hit the ground. Perhaps it was slow enough to prevent serious injury, perhaps not. Ensure that your SRL use and anchor point selection do not allow for this to happen (there is potential for this situation over the rails of an aerial lift, too). We often talk about construction being a dynamic environment, but there are plenty of situations in other industries where things change throughout the day. Where once you had proper fall clearance, you may no longer. For example, what if you are working at the edge of a roof and have properly calculated your fall distance? You are wearing the proper fall protection and you have plenty of clearance between you and the ground. All sounds good, right? What if the area over which you are working is a loading dock? While you’re not paying attention, a truck backs in and unloading activities begin. Suddenly, you fall. Were your calculations effective? Most likely, no. Most likely, this change wasn’t taken into account. It is very important to be fully aware of the activities that are occurring in your work area and plan accordingly if they should affect your situation. 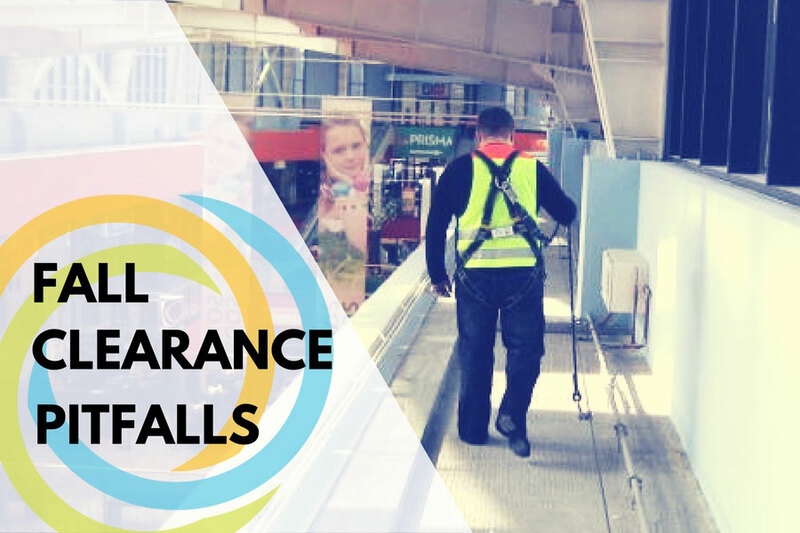 Generally speaking, calculation of fall clearance is pretty simple and straightforward, but as the person determining that clearance, it is crucial that you are knowledgeable of things that could affect your situation and could nullify your planning. Make sure you’ve thought out every possible scenario and, as always, make sure the end users are properly trained. Falls are bad enough. Pitfalls can be worse because they take you by surprise by sabotaging what you thought was effective planning. 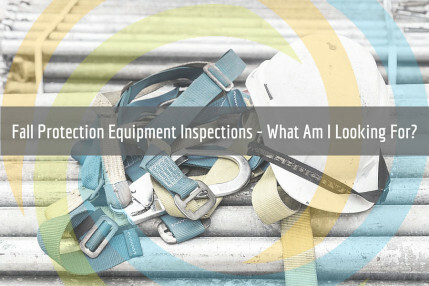 Fall Protection Equipment Inspections- What Am I Looking For? 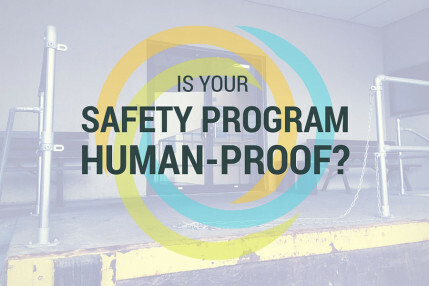 Is Your Safety Program Human-Proof?